This is just an informational post for those of you who think of e-bikes and their variations as mysterious black boxes, making the decision of what to get or even whether to get seem overly confusing. 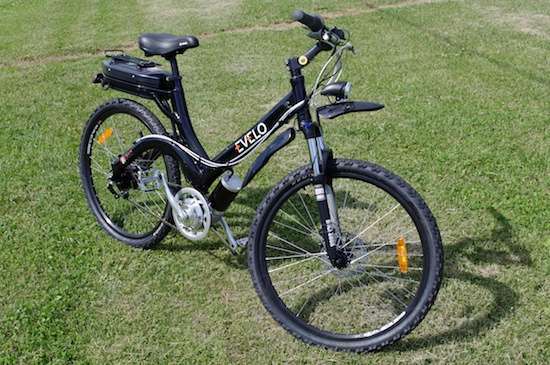 Evelo has recently released their Complete Electric Bike Buyers Guide online. It’s a non-gritty, informative overlook of what’s available, and why. Written for those who are non-conversant in Geek, it’s a pleasant and informative read. Naturally, being an Evelo publication, it just happens to include and explain those features which Evelo’s e-bikes have, too. And of course, by the end of the book, you’re funneled onto a page that shows off their various models. Can’t blame them for that. With eleven short chapters, it makes for a fairly brief and complete read that I think will help people who want to know more about e-bikes in general, rather than have to gather it by rubbing up against one Google search result after another. Sure, it pushes e-bikes as the savior of mankind, but that’s because Americans are way, way behind both Europe and China in their e-bike acceptance and utilization, and always will be. That’s because of both attitude and logistics. NYC, Evelo’s hometown, has even banned all e-bikes, in that same “magic demon” spirit with which it greeted the arrival of the horseless carriage over a century ago. Fortunately, they represent the exception rather than the vanguard of incremental urban progress. U.S. cities and towns have long chased growth in such a way as to separate and distance residences from businesses, making automobile ownership nearly mandatory for employment. Still, some younger urbanites have made an effort to buck this trend, and have located themselves within biking distance of work or school. The American Dream of suburban home and car, along with the expenses and frustrations of same in the nightmare of commuting, have opened up a viable market for e-bikes. Between those and recreational riders, Evelo’s guide is a help to understand what the e-bike option is all about. The above link takes you to the first page in sequence, though a link at the upper right of the Guide page called “All Chapters” allows you to see an index so that you can pick through only those parts that you’re most interested in. It’s worth a look. Have fun! thanks for the resource… in case I feel the need to upgrade one day. If nothing else Ming, it’s just something to read and be informed about! This is Gonzalo, the Director of Marketing at EVELO! Thanks for taking the time to go through The Complete Electric Bike Buyer’s Guide and write about it. We really appreciate it. Thanks, Gonzalo. You didn’t get too many clicks through it, mainly since this is not an “electric bike website”, but e-bikes are a bit of an overwhelming mystery to most folks, and your guide is helpful in that regard.